Collaborations with artists inspired by an intense compositional and emotional approach to Music. 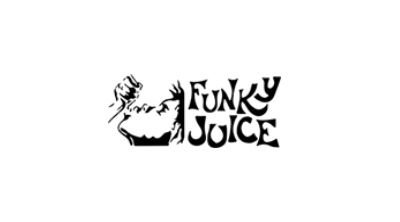 The Funky Juice records record label was founded in 1997 by Roberto Colella that after numerous musical and organizational experiences within the club-culture in the city of Rome, decides to devote himself passionately to the development of new international artists with musical attitudes outside the box. To date have been published about 70 between full-length CDs, compilations and EP. The artists who are more distinct and have had more recognition abroad are: Barrio Jazz Gang, Pauline London, Jade And The Freeways, Alacran, Bungalove, Cuban Jazz Combo, Brother Groove, Panaphonic, Os Morçegos and the Ensemble Sideral just to name a few. The most successful track is: Chok-a-Blok Avenue” by Barrio Jazz Gang featured in a variety of international high quality compilations and was listed in all the specialized playlists. In the “Saint germain Cafe des pres vol. 1-cd” (wagram) we had the chance to develop our artist in all the world.Our passion for the sixties and seventies Hot-Jazz and for the modern club-music create our own sounds and the electronic elements are always fused together with analog an acoustic live recordings-set. You can feel it in almost all our productions, this is our main target, as well reaching the listeners with something special and very up-front.The most important groups of the label are: Pauline London, (a very talented artist and a really great vocalist who has already featured in many Barrio Jazz Gang productions) Bungalove (a brazilian-electro group), Panaphonic (electronic-chill project), Ensemble Sideral (mediterrean tango-jazz with a string quartet) , Cuban Jazz Combo (the warm side of the latin jazz) and Os Morcegos (samba-jazz with funky).Last acquisitions are: Alacran that is a is a music journey, spatial-temporal bridge between Latin and modern emotionalism array electronic influences.It is a project that brings together the heritage of traditional musical cultures such as the tango and the flamenco to invent new filtered taste of admixtures research and openness to unpublished.Spanish is the main language used by “Alacran” in their work, was a natural choice for cultural affinity with our “cousins” of the Iberian peninsula but also because it involves a different people, going to Central and South America. It is a universal language that weighs, how much English. Jade And The Freeways: that is a collaboration of a talented group of musicians who bring an energy to both live and recorded performance.The songs have depth and tell of moments in a woman’s life, her independence being a free woman living a full life and not a fairy tale, a woman who walks into life head on, a strong and determined woman ready to move forward with compassion, optimism and confidence. Finding love, a passionate love can make us overcome many obstacles and is a theme of this album along with nature that great source of well-being. This is something to be safeguarded for future generations and is all encapsulated in the music. The sound has a retro feel with passion for legendary soul artists from throughout musical history, we hope this will reach the depths of your soul. Real music with feeling and emotions . Leonardo Cesari Jazz Combo that was born out of the quest for a sound that weds the jazz of the 1950s and 60s with the rhythms distilled from contemporary club music. All the ten original tracks, that experiment with the fine line between musical tradition and faster-paced moods, played by the typical jazz formation: the quintet. from contemporary club music. Message Combo with the warmest sounds of 1960’s nightlife they are building somthing between the Motown sound to the nusoul and nujazz og these days. Sand,Water & Wind a very talented smooth-jazz combo with Chiara Vecchio on the voice, Silvano Melgiovanni on keys, and Eric Daniel on the saxophones and flute.If you want to know more about all our artists just click on their names on our website. Latest releases are: Panaphonic cd : “Vintage Streets And Wah-Wah Sounds”. D.J. Spice with the cd: ” Kaleidoindia”. Our philosophy of music is deals with beauty, art, enjoyment, sensory-emotional values, perception, and matters of taste and sentiment.With our projects and experiments we strongly want to intensify the topics of a new existence, knowledge, values, reason, mind, and language.Bubbling out of the worldwide cities avenues with an infectious beat, sweeping across the caribbean beaches or the New York or London streets, our music evoke the spells of far-off places, exticing nights and extravagant days.We been inspired every day by african-rhythms as well, cuban-jazz, soul, funky, bossa-nova, but in relation with new spice and flavor.Our Nu-beats are wild, free and expressive with savage attitude that suggests primitive rituals and passion under a sturry and tropical sky.Children who grow up in an enriched music environment are better able to understand and enjoy music for the rest of their lives so don’t forget to listen frequently the Funky Juice music.